Linda began karate in 1996 with Sensei Grant Rollinson who, at the time, was a member of Shotokan Karate International Australia. Having never really shown any aptitude, or enthusiasm, for team sports, she found satisfaction in attaining individual goals and improvements in her own self confidence due to her karate training. 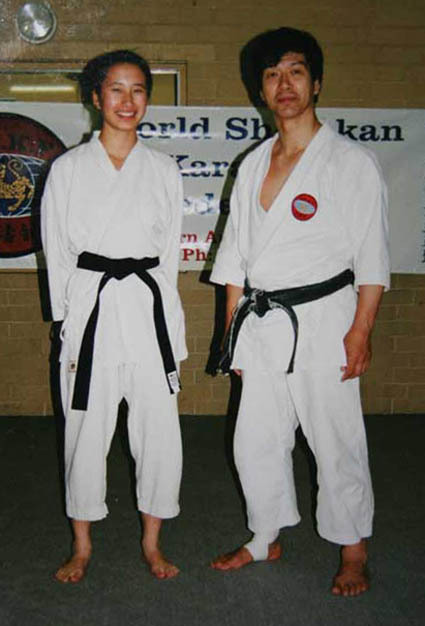 In 1998, Linda’s club joined the World Shotokan Karate-do Federation and here she experienced the mastery of Sensei Hitoshi Kasuya, international chief instructor of that organisation. Linda found inspiration in Sensei Kasuya, whose displays of lightning fast and precise techniques, and his honesty in karate teachings, explanations and his vast knowledge of Shotokan karate to be respected. Linda's first instructor was Sensei Grant Rollinson, who she recalls was, and still is, a friendly introduction to karate, providing interesting insights into karate techniques and knowledge.She also trained with the SKI Chief Instructor Sensei Kanazawa who she found very inspiring. Changing to WSKF in 1998 provided Linda with the opportunity to train with the highly experienced Sensei Howard Mutton, who is an intimidating figure as the head of WSKF (Aust) and remains to be, a challenging and very knowledgeable instructor. Linda enjoys challenging her mind and physical abilities. She most enjoys karate when she has worked hard, improved her karate and improved her understanding, or learned something new, about Shotokan karate.The teaching aspect of karate is also enjoyed by Linda as it is an opportunity to introduce and share her interest in karate with others. She finds it rewarding to observe students' improvements in karate and to contribute in building their self-confidence. 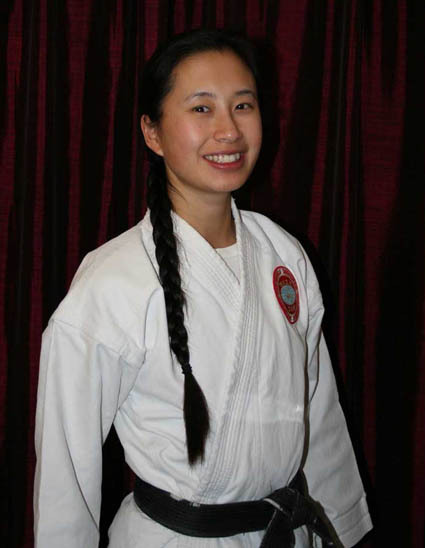 In the short term Linda aims to gain more competition experience in both kata and kumite. By setting the example she aims to encourage more students to compete. doing karate, Linda works fulltime with Alcoa Australia as a Chemical Engineer. 1996 - SKIState Competition, achieving 1st places in Senior Novice Kata and Gohon Kumite events. 1997 - SKIStateCompetition, achieving 2nd place in Senior Intermediate Kata event. 1999 - Yoseikan Winter Novice Competition - 2nd place in Women's Individual Kata event. Participated in Team Kata event. Sensei Linda with Kasuya Sensei during his recent visit to Australia.